Why Diabetes Patients Can't Drink Soft Drinks? Living with diabetes requires you to really pay attention to food and drink intake. Especially in foods or drinks that contain sugar. This soft drink, which can be found easily, is one of the drinks that need to be watched out. Why is soft drink a drink for diabetes that should be avoided? Come on, see the following review. Who doesn't like soft drinks? This drink is always a mainstay when you are traveling or holding a certain event. Even though it tastes fresh, tasty, and practical, soft drinks are actually not good for your health. 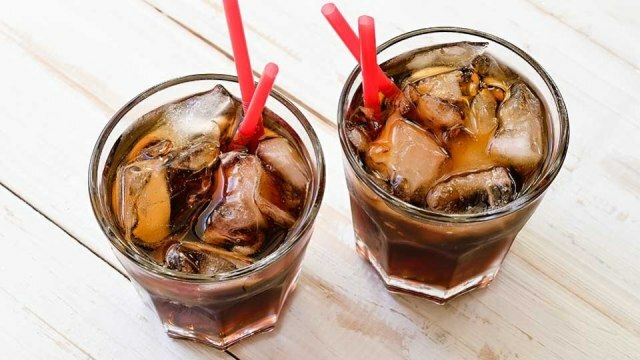 Reporting from Medical News Today, a study shows that drinking too much sweet or carbonated drinks can cause a person more at risk of developing diabetes. The various types of soft drinks you drink, give the body extra energy in the form of fat if not used. This can make you overweight and eventually get obese. Obese people are very vulnerable to type 2 diabetes and other chronic diseases. That's why many health experts advise healthy people to reduce their soft drink drinking habits. Especially for diabetics (diabetics) are very sensitive and need to be careful with all sugary foods and drinks. Soft drinks contain sugar, coloring, preservatives, and some of them are added with soda. The sweet taste of soft drinks shows that this drink contains high sugar so that it belongs to the type of drink with a high glycemic index. That is, it contains carbohydrates that are quickly digested by the body, making blood sugar levels soar rapidly. Blood sugar levels in your body affect the hormone insulin. This hormone is produced by the pancreas and is responsible for regulating your blood sugar levels to normal. When blood sugar levels rise quickly, more insulin is needed. In the long term, this condition can create pancreatic fatigue and eventually cause glucose intolerance and develop into diabetes. Of course, diabetes will become more severe or experience complications if you consume high-sugar drinks such as soft drinks. Actually not only soft drinks, but there are also many types of drinks that contain high sugar which is very risky if taken by diabetics, such as energy drinks and alcohol. Energy drinks contain high carbohydrates and caffeine, while alcohol contains high carbohydrates. Both can increase blood sugar quickly and insulin resistance, making the condition of patients with diabetes worse. The American Diabetic Association (ADA) recommends low-calorie drinks for diabetics so that blood sugar surges can be prevented, body weight stays under control, and certainly relieves symptoms. So, the best choice of drinks for diabetes is water. Take it easy; diabetics can still enjoy tea, coffee, and juices rich in antioxidants and vitamins that are very dear if missed. As long as all of your drinks are made and made by yourself, not packaging. That is, you can adjust the sugar used, such as choosing not to use sugar at all or using sugar that is low in calories. Don't forget, always check your health with your doctor as a way to control diabetes you have. 1 Response to "Why Diabetes Patients Can't Drink Soft Drinks?"